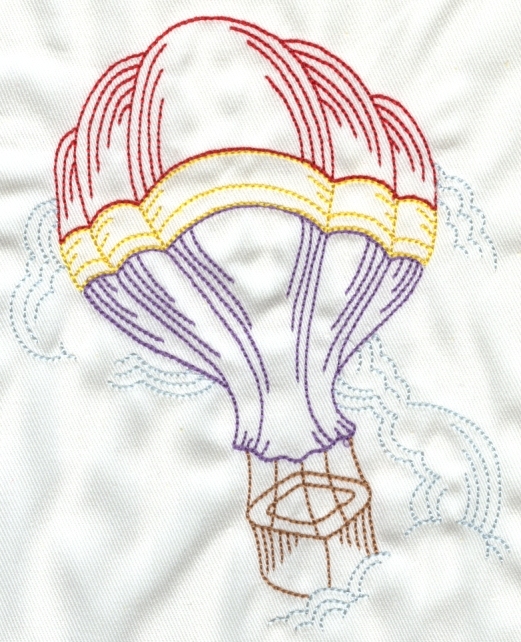 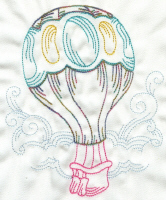 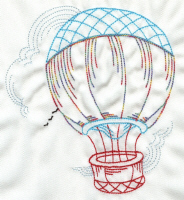 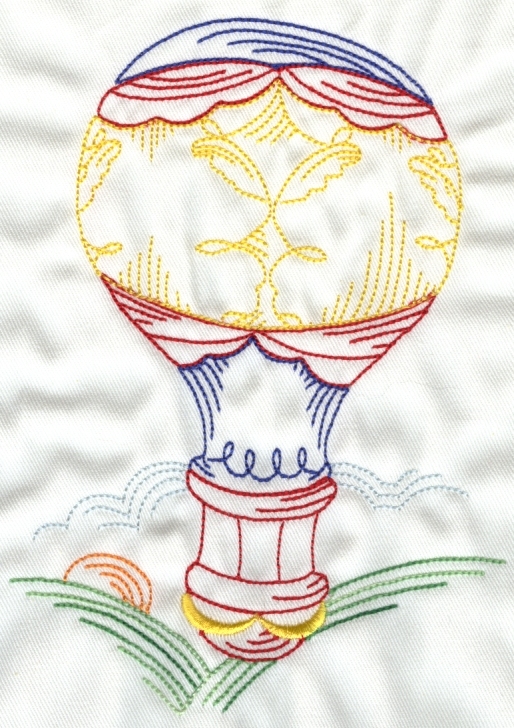 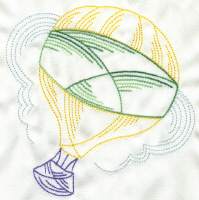 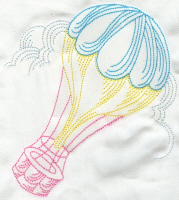 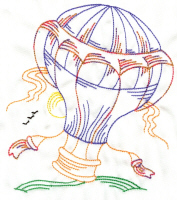 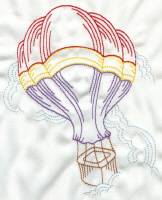 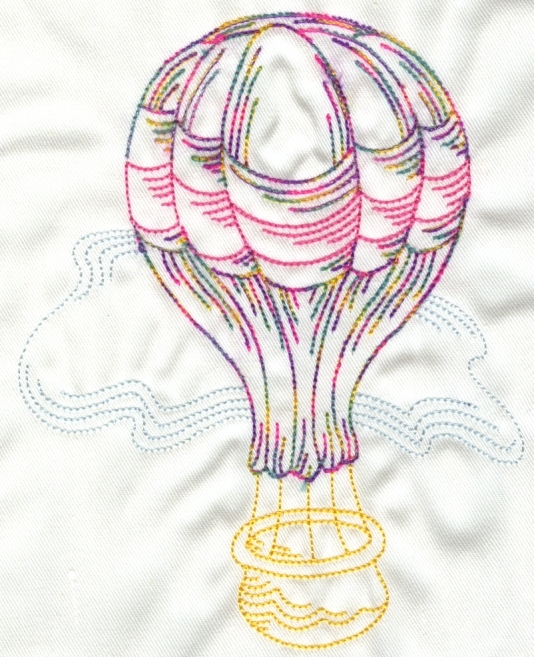 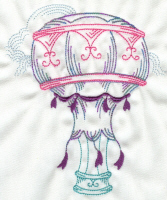 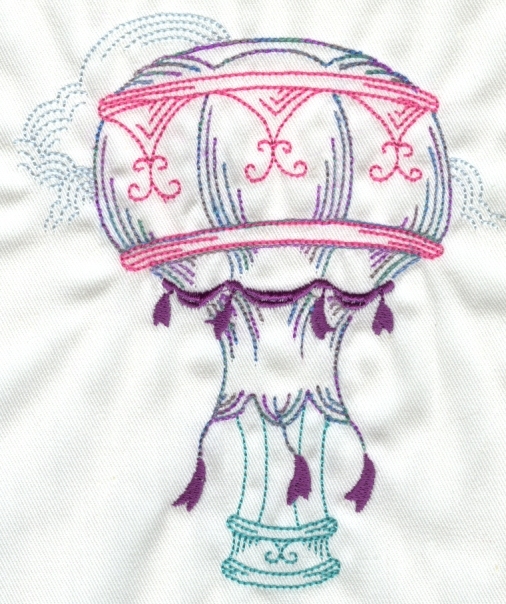 This collection of 10 delightful hot air balloons digitized in redwork style are fast and easy to stitch. 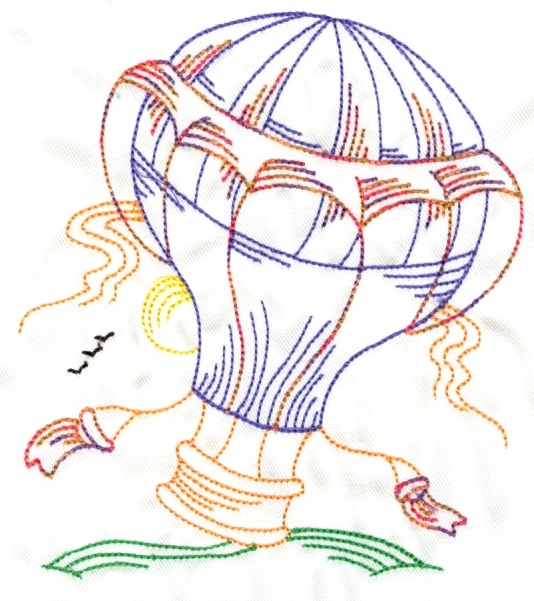 They are wonderful done in one color or more. Also a great way to use variegated, metallic, solar active, or other specialty threads. 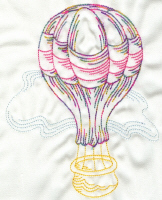 Collection includes all 10 balloons in both 4x4 and 5x7 sizes. 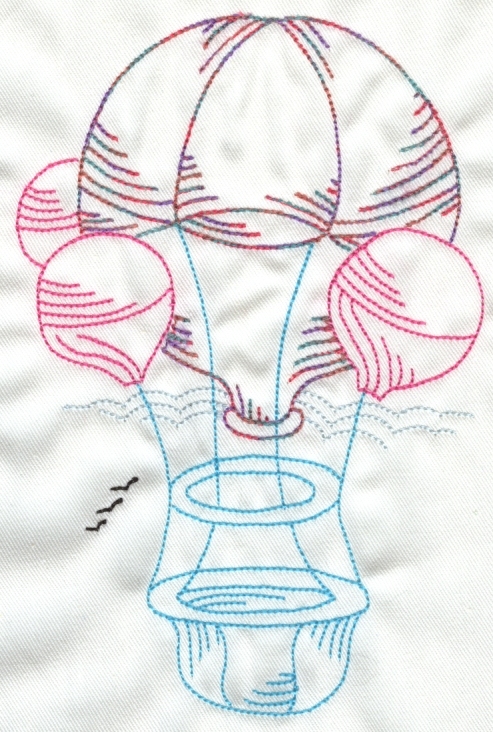 These designs are absolutely stunning on black fabric! 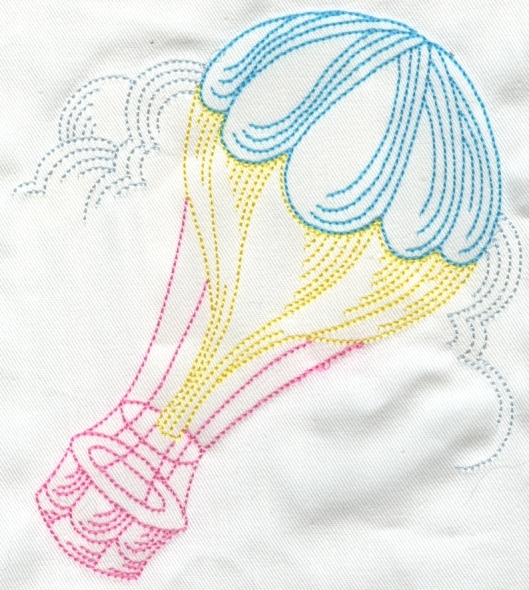 Imagine them with metallic or variegated threads! 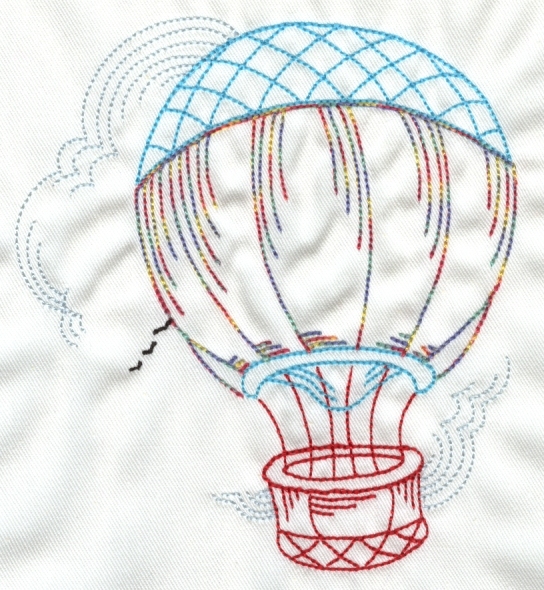 The price of this collection is only $20.